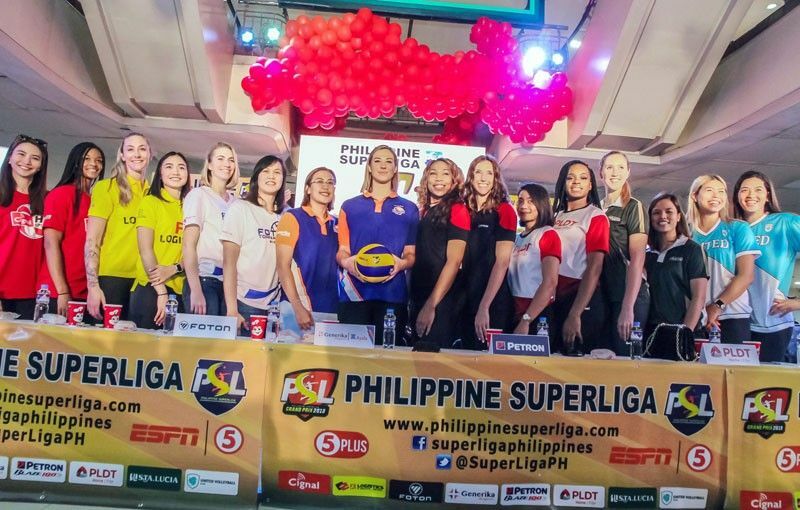 MANILA, Philippines — An explosive cast of foreigner reinforcements – both returning and debuting – are expected to shore up the competition in the Philippine Superliga Grand Prix which unwraps Saturday at Ynares Arena in Pasig. Stepanie Niemer and Katherine Bell, who once scored 38 and 42 points, respectively, in previous stints, beef up an already stacked Petron team as it aims for a rare back-to-back triumph in the import-flavored conference. Lindsay Stalzer, a former Petron import and three-time PSL champion, jumps over to rival F2 Logistics to lead its bid to challenge for the throne alongside American-Italian Becky Perry. Hawaiian Tai Mau Olevau and Californian Yasmeen Bedart-Ghani take the cudgels for United Volleyball Club while Azerbaijan national mainstay Kseniya Kocyigit and Brazilian stalwart Nikolle del Rio banner Generika Ayala, and Turkish national player Selime Ilyesoglu and American Courtney Felinski spearhead Foton, the first side to repeat as GP champs. Kendra Dahlke and Grace Lazard headline PLDT while NCAA standouts Molly Lohman and Casey Schoenlein feature for Sta. Lucia under new coach Babes Castillo. Azerbaijan national spiker Anastacia Artameva and American Erica Wilson take charge of Cignal. Adding drama to the upcoming competition is the presence of Stalzer at F2. After leading the Blaze Spikers to the diadem in 2017, Stalzer now plots to unseat Petron under the banner of its fiercest rival.